Baby is on her way and I have a maternity shoot tomorrow, but I finished my bear orders and promo blogs for Flight of the White Wolf. Now, I need to write the next jaguar story. Still trying to figure out the first meet! She loved the ones I had done of my daughter and son-in-law, but we did it at the golden hour, and most of my pictures were soft. Still working on capturing clear images for people. 🙂 <3 I took those last March. Super Moon, Blue Moon, Total Lunar Eclipse! I had already taken the puppies out at 5 am, and then around 6, I looked to see what the weather was going to be like for the day because it was so cold that morning. Oh, oh, oh: Super Moon, Blue Moon, Total Lunar Eclipse started ten minutes earlier. 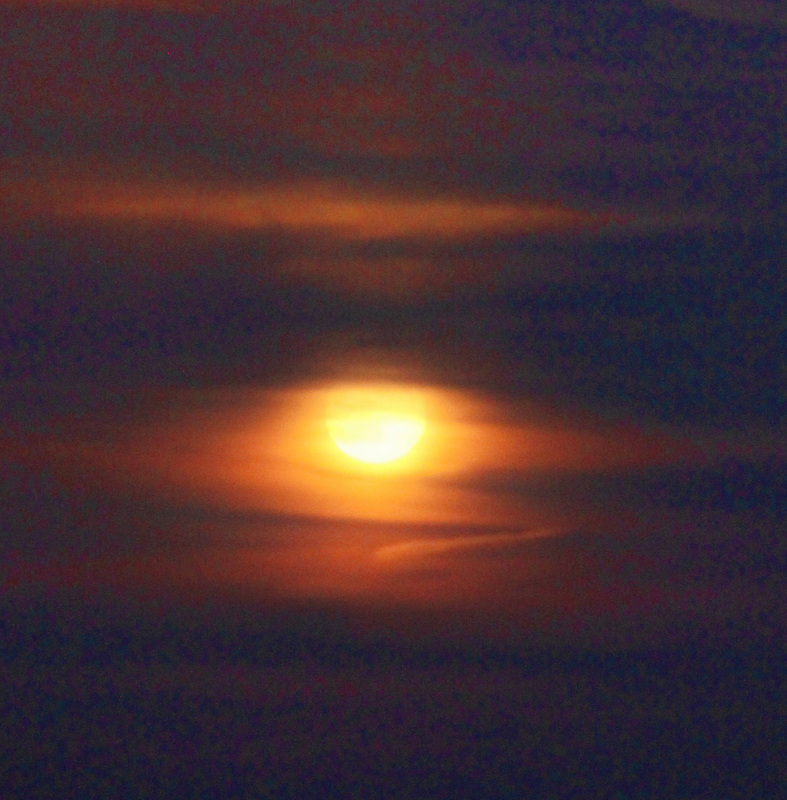 By the time I got my camera and the right lens on, and ran outside, the moon was already eclipsing. Fast. And I didn’t have time to grab a jacket. It was 37 and COLD. I was out there for about an hour taking pictures. No tripod to hold the heavier lens, so I finally ran inside, grabbed a bunch of boxes of bear fur, stacked them on a patio table, and, didn’t work. Ran back in and got some of my books and stacked them higher, and took steadier shots. On the one, I focused on the tree branches to show that the tree was in the way!! They turned out pretty cool. This morning we have all cloud cover, so I was glad we had a clear morning to see it anyway! The wolves, I’m sure, were impressed. I went to my daughter’s house for dinner last night, and on the way home, the club house fountain lights were finally on. So I parked and took some pictures. The super moon was over the clubhouse to the right. Doing a final read on Double Cougar Trouble, then seeing if another beta reader can look it over. Then I’ll do another final read. 🙂 And publish! 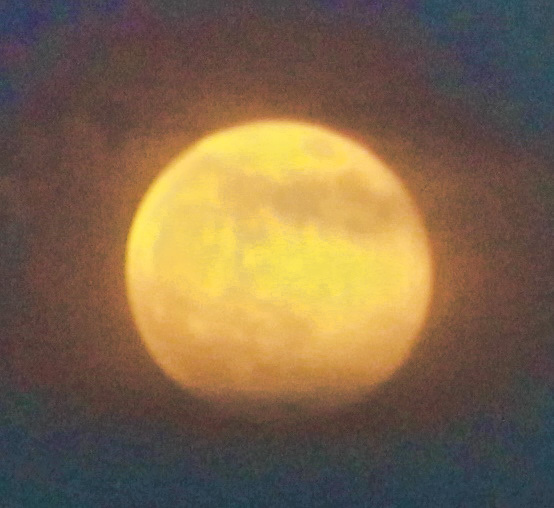 Okay, so it doesn’t look as super as some I’ve seen, but without the humongous zoom lens and attachments and all that stuff, I thought it still looked like a perfectly good moon to howl at!